Home » Billie Dane is Pretty in Pink! Billie Dane was pretty in pink yesterday while out with dad Eric for a play at the park. 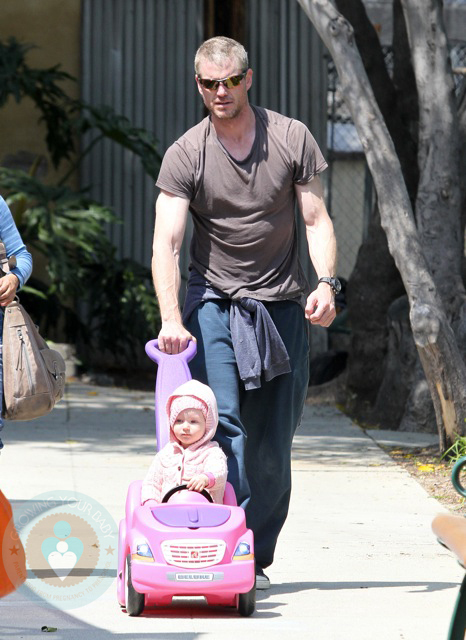 The actor and his daughter enjoyed a sunny day playing in the sand, riding on the swings and cruising in Step2’s pink Whisper Ride Buggy . Best known for playing Dr. Mark ‘McSteamy’ Sloan on Grey’s Anatomy, Eric recently revealed that he see’s his job differently now that he’s a father.